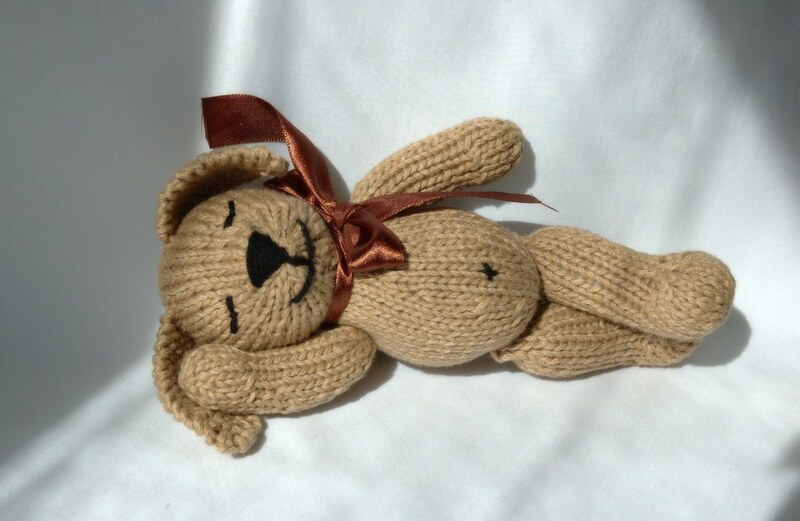 It seems like a million people have asked for the pattern for this cutie pie. I did mostly follow the Puppy with Sweater pattern, knitting the toy in one colour rather than two. Maybe it's the cotton yarn that makes it look so different, or the embroidered face. I'm glad that so many people like it! April 11, 2008 at 6:40 p.m. It has to be the belly button! April 11, 2008 at 8:32 p.m.
April 12, 2008 at 3:52 a.m. Isn't he just sweet! It's my birthday next week and part of my present from my best friend was a packet of eyes!!! Just right for bunnies! All the best. April 12, 2008 at 1:14 p.m. I just found your blog and love your softies! I have a question about your book...does it also include patterns for the clothes or is just the animals? April 13, 2008 at 3:24 p.m.